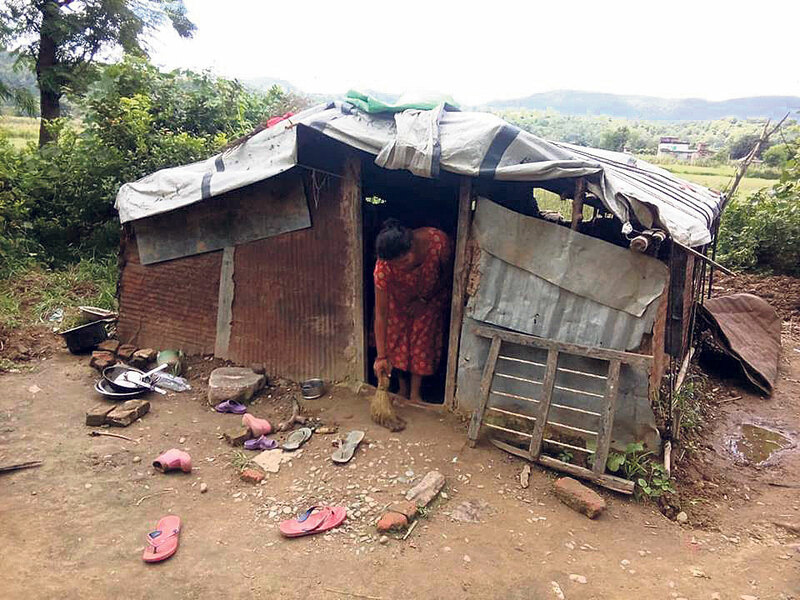 DANG, Aug 9: Kala KC of Bakhariya, Tulasipur lives in a small, old and dilapidated house, which was hit hard by the recent downpour. Looking at the house it seems that it could collapse any moment. But in lack of alternatives, her family still lives in it. 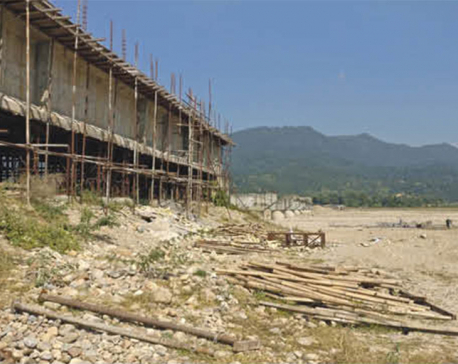 KC had a normal life until floods in the Babai River wreaked havoc in the settlement four years ago. Floods hit the village where she lived and nothing remained the same again for the villagers. “I had a small house of my own then. I had built it by investing all my savings and by borrowing some from my parents. The house gave us a feeling of comfort and security, but all that vanished in just one rage of the flood,” she lamented. “It has already been four years since the flood rendered us homeless and life has not come back on track,” she added. After the flood made the family homeless, it lived under a tarpaulin for nearly a year. The going got too difficult. Due to extreme weather conditions, her children would get sick. She herself got bedridden for long time back then. Seeing her condition, her brother gave her an old spare house to live in. “We shifted to the house very happily. After a year full of miseries in the plastic hut, it was a huge relief for us,” she shared. However, this house also has now been badly hit by the rain. Consistent rainfall has rendered it fragile. “We fear that we are going to lose this house too. If we do, we don’t have anywhere to go,” she said. Her neighbors have been advising her to move out of the house, she shared. They feel that the house could crumble anytime and crush her family members. “I also know that it is risky to live in this house. But where to go after moving out from here,” she wondered. KC’s husband and elder son work abroad but none of them is in touch with her. Her husband had left home for foreign employment a decade ago and her elder son had left home for foreign employment three years ago. None of them is in touch with her, let alone support in her miseries. She lives with her youngest son. “Until I lost the house I was okay with the problems in my life. Even though my husband was not with me or supporting me, I was able to able to run the family,” she said. “But after losing my house, life has become very hard for us,” she added. Following the floods in the area, the government had announced to provide relief to aid the flood victims in resettlement. Had the government fulfilled its promise, KC claims that she would have got Rs 300,000 at least to build house. KC’s is a representative case. Dozens of the flood’s victims have been living a miserable life in lack of support from the government. Miththu Badi of the same village stated that the victims’ life would never get back on track unless the government ensures their resettlement. “But we are now no more hopeful of getting aid from the government. It has already been four years since we were made destitute and the government has not come to our aid,” she noted. Badi lives in a small makeshift hut. Her four-member family finds it very hard to live in the hut. “We have not slept for several nights due to leaking roof. In winter, we are not able to sleep due to cold. We are living a life full of misery since the past four years,” she said. Just like KC, she also got just Rs 100,000 in relief from the government. Had the government given the amount it pledged, her family would have been saved from the miserable life, she said. Her family lives on fishing Babai River and seasonal labor. Most of the flood victims in the area are earning their livelihood the same way. The victims accused the government of biasness. 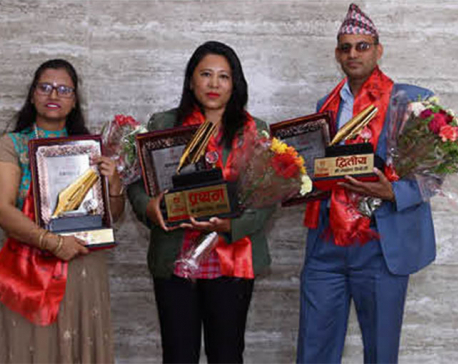 They claim that even though their plights were almost the same as that of the earthquake victims, the government neglected them and provided relief to the latter. “We also lost everything we had to the floods. Even after so many years, the government has not given us the aid it pledged. But it has treated the quake victims differently,” Badi lamented. “Soon winter will come. There are elderly people and children in most of our families. During last winter, we had hard time tending them. 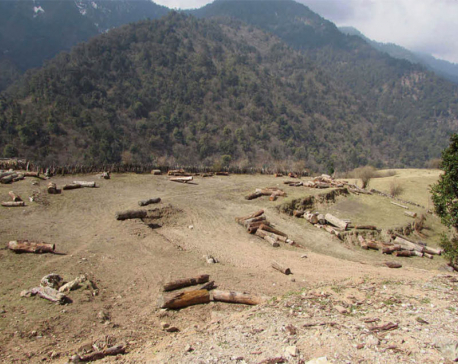 With conditions of our huts worse than last year, we are definitely going to have a hard time this winter also,” said another flood victim Sundari Badi.